Vitamin C Activating Squares: A Good Idea Gone Wrong? No? That’s cos no one bought it. The idea was good BUT it was a pain to use. 3 years later, it was pulled off the market. I fear Mary Kay Timewise Vitamin C Activating Squares will follow the same fate. 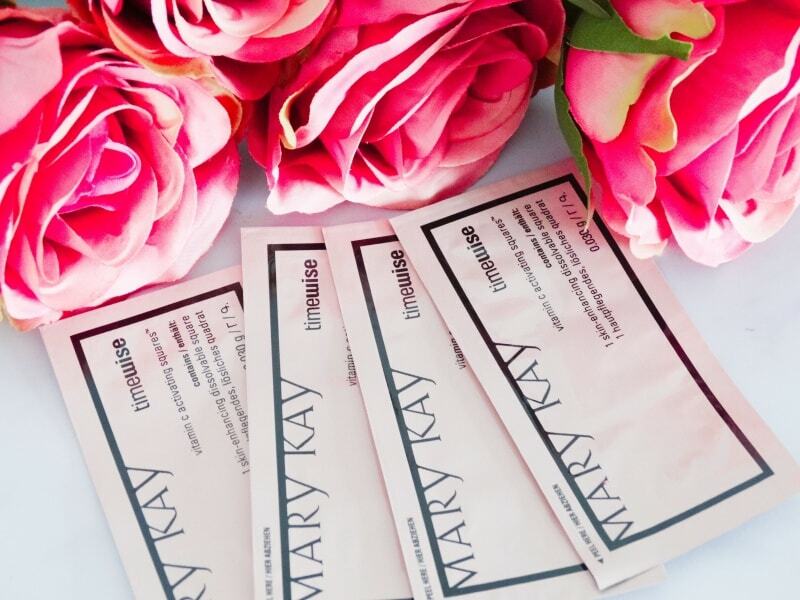 Mary Kay proudly boasts to be the first to use a breakthrough technology that delivers pure vitamin C to your skin in a tiny, dissolvable square. But that means nothing if it’s more hassle than it’s worth it. And it’s way more hassle than it’s worth it. 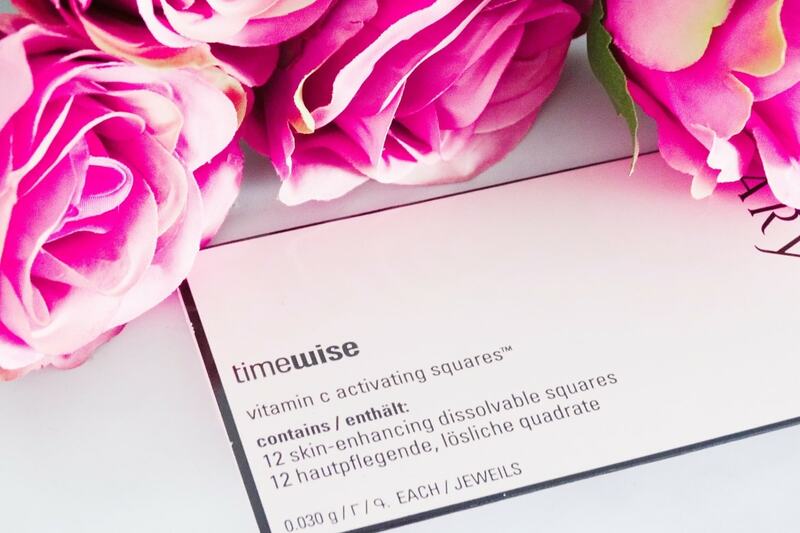 When I first held Mary Kay Timewise Vitamin C Activating Squares, I thought there had been a misunderstanding. Surely, they handed me the business card? Nope. The cardboard box’s about the size of a business card. Inside, you find 12 pouches. Inside each of those pouches (yep, this thing is a matryoshka doll) are the vitamin C squares. Finally! It’s only 4 steps and they don’t take more than a minute BUT why play DIY when there are thousands of Vitamin C serums that are ready to use? Just pump them out of the bottle and go. When I do my skincare routine at the end of a long day, I want convenience. I don’t want to play chemist. But let’s say you’re willing to play chemist. Maybe for you mixing your skincare routine is fun. Relaxing even. 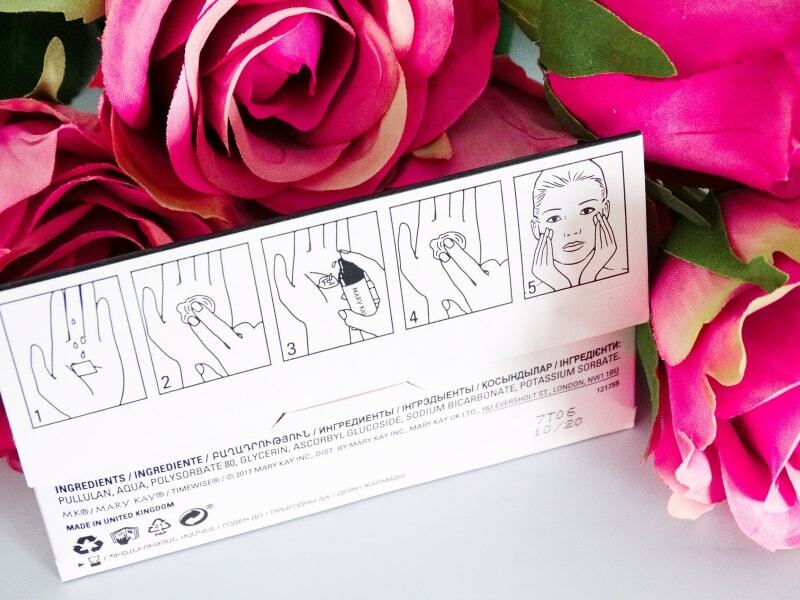 Take a look at step 3: add a couple of pumps from your fave serum. In theory, you can do that. In practice, not every serum works. I know a lot of bloggers who have reviewed this used the squares with Mary Kay Timewise Replenishing Serum + C for a double dose of vitamin C. But I didn’t have that. I reached for the first thing I found in my cabinet: a hyaluronic acid serum. I mixed the two, applied them and went on with the rest of my skincare. Fast forward an hour later, I’m brushing a few hairs off my face. That’s when I feel something weird. MY FACE IS PEELING. The first thing I did was look for reviews of the serum to see if the same thing had happened to someone else. Sure enough, someone experienced peeling but said it was ok because that was the vitamin C peeling the sun damage off her face! No! No! No! It doesn’t work like that. Vitamin C can fade dark spots and boost collagen but it doesn’t peel the damage off your face. Vitamin C can make your face peel… when it irritates it. But that’s not what was going on here. For one, you need to use a high concentration of vitamin C to cause irritation. This doesn’t have enough and even if it did, my skin is used to it. It wouldn’t peel for that. Plus, you know if your skin is irritated. It feels tight and hurts even. I didn’t experience any of that. It was something else. Pilling. The two serums didn’t like each other. The next day, I tried the squares with Mary Kay Repair Volu-Firm Lifting Serum. I figured they’d play nicer with a Mary Kay serum. I was right. There was no pilling on my face this time. Phew! But I’ve noticed something I had barely seen the day before: after applying the mix to my face, I was left with tiny white bits of product on the palm of my hand! Well, I guess if you like playing chemist, you like experimenting until you find the right serum for the squares. But, is it worth the hassle? Problem #3: Not Enough Vitamin C? Before we go on, did you wonder why Mary Kay decided to go with this square thingie instead than putting Vitamin C directly in a serum? If their intention was number 2, epic fail. The squares don’t play nicely with every serum so not much of a boost there. But what about number 1? L-ascorbic acid, the pure form of Vitamin C, is very unstable. That’s why brands like Indeed and The Ordinary have water-free formulas and Vichy gives you mini sizes you can use up easily before it goes bad. But Mary Kay Timewise Vitamin C Activating Squares doesn’t use L-ascorbic acid. It uses ascorbic glucoside, a derivative of L-ascorbic acid that’s way more stable. So you could put it in a water-based serum and make everyone’s life easier! To add insult to injury, I don’t think there’s enough ascorbic glucoside here to do much. High doses of vitamin C fight free radicals, boost collagen, fade dark spots and give skin a dewy glow. But Mary Kay doesn’t disclose how much ascorbic glucoside is in here. All we know for sure is that it’s the 5th ingredient in the square thingie. Mmm…. Sure, a little vitamin C is better than nothing and I’m sure even a small dose can fight a free radical or two. But if the dose ain’t high enough, you ain’t getting the full benefits of vitamin C.
And after going to all this trouble, you do want the full benefits, don’t you? I admit it: Mary Kay Timewise Vitamin C Activating Squares rubbed me the wrong way from the beginning. I need an extra step in my skincare routine like I need a slap in the face. I know some of you have 10-step long routines and if that works for you, cool. Me, I want a handful of multitasking products that do the job quickly and well. But even though I don’t like the DIY idea, I could have appreciated the execution. But the execution leaves a lot to be desired too. I’ve already told you about the pilling and the small balls of product this stuff leaves on my hands. But it also feels slightly tacky on my skin. Like, I can feel it on my skin. And it didn’t do much for me. My skin wasn’t particularly bright or softer while I was using it. It did give me a little glow but it doesn’t even compare to what Skinceuticals CE Ferulic, Paula’s Choice C15 Booster or Indeed Labs Vitamin C24 do for me. Sorry Mary Kay. I’m going back to Paula’s Choice now. Mary Kay Timewise Vitamin C Activating Squares is more hassle than it's worth it: it must be mixed with another serum, often pills and may not even have enough vitamin C to boost collagen and fade dark spots. MK is nothing more than a pyramid scheme that frontloads and inventory and ruins people’s lives. Please see the Pinktruth website for more information on why you need to stay away from Mary Kay nonsense.